The Community Preservation Act (CPA), M.G.L. Chapter 44B, was adopted by the Legislature and signed into law by Governor Cellucci in September 2000. CPA allows any city or town in the Commonwealth of Massachusetts to adopt a property tax surcharge of up to 3%, the revenues from which are matched by State funds. CPA funds enable the Town to undertake projects with State matching funds in areas that would otherwise have been paid for with 100% local tax dollars or that the Town would have been unable to undertake or would have required a Proposition 2 1/2 override (e.g. open space acquisition, rehabilitation of historic Town buildings). The citizens of Hamilton voted to adopt the Community Preservation Act (CPA) on May 12, 2005. This program creates a 2% surcharge on real estate taxes for all residences and businesses, with exemptions for the first $100,000 of residential property value and property owned and occupied by any person who qualifies for low income housing or low or moderate income senior housing. This surcharge is then matched by a state fund. At the Annual Town Meeting on May 2, 2005, voters approved a Town Bylaw creating the nine member Hamilton Community Preservation Committee (CPC). Made up of nine residents with a range of expertise across the project areas, the CPC is charged with studying the Town’s needs, possibilities and resources with respect to the community preservation purposes and making recommendations to Town Meeting with respect to the allocation and expenditure of CPA funds. The CPA has distributed over $2,600,000 to more than 70 different projects across all four project categories. In its ten year history, the CPA has funded much-needed renovations to historic Town Hall and other historic buildings in Hamilton, the creation of new community housing, enhancements to popular recreational areas, and more. The CPC reviews project applications twice a year. The CPC actively seeks suggestions and proposals from residents of Hamilton, Town boards and local organizations for projects which will best serve the goals of community preservation and the needs and interests of the town. Please see the Guidelines for Project Submission, which provide additional details on the application process. What is the Community Preservation Committee (CPC), and how are its members appointed? recommendations to Town Meeting with respect to the allocation and expenditure of CPA funds. When did Hamilton first embrace CPA, and with what percent surcharge on property taxes? The citizens of Hamilton voted to adopt the Community Preservation Act during a Town Election on May 12, 2005. The program created a 2% surcharge on real estate taxes for all residences and businesses, with exemptions for the first $100,000 of residential property value and for property owned and occupied by any person who qualifies for low-income housing or low- or moderate-income senior housing. Can this surcharge ever be changed, i.e., increased to the maximum 3%, reduced or eliminated altogether? “A city or town may amend the surcharge percentage and exemptions. Amendment is by majority vote of the legislative body and by referendum. G.L. Ch. 44B §16(a). Are there any allowances for citizens to opt out of the surcharge? Yes, residents that qualify for low-income housing or low- or moderate-income senior housing may opt out of the surcharge. Each year, beginning in September, applications for CPA exemption are available in the Town Assessor’s office. The short application must be returned by the end of March in order for the household to be exempted from the surcharge that year. How is the state match determined, and approximately what percent of the local surcharge monies has the state matched? based on a formula that accounts for the population and property valuations of the eligible municipalities. Since CPA was adopted in Hamilton, the state has matched approximately 34% of what the town has raised locally. How much money does the CPC have to fund projects? approximately $450,000. Additionally, as of July 1, 2015, approximately $1.1 million are available in the fund balance. Can the CPC recommend bonding of larger projects? Yes, the CPC may recommend bonding of projects. Any recommendation for bonding requires a 2/3 approval of voters at Town Meeting, rather than a simple majority. What types of projects may be funded by CPA monies? Can CPA monies fund a turf recreation field? Can CPA monies fund sidewalks? “Recreational use” is defined in the Community Preservation Act as, “active or passive recreational use including, but not limited to, the use of land for community gardens, trails, and noncommercial youth and adult sports, and the use of land as a park, playground or athletic field.” Thus, “trails” on open space “land for recreational use” are an eligible use of CPA funds. In the area of grants for historic preservation, do the buildings or structures need to be part of the National Historic Register? Structures do not need to be part of the National Historic Register to receive CPA funding. However, properties that are listed there, or are eligible for listing, will receive priority, as described in the criteria for historic preservation projects in the 2015 Community Preservation Plan. Determinations of eligibility can be made by the Town’s Historic District Commission. Who may apply for a CPC grant, and where can they find an application with associated instructions? Anyone may apply for a CPC grant, though they must demonstrate that they have the authority to pursue the given project. The guidelines and applications can be found on the CPC’s website: www.hamiltonma.gov/CPC. What is the typical application process for a CPC grant? Each year, the CPC will establish deadlines for submission of the applications and post them online on the CPC’s website. The deadlines will be approximately two months before Special Town Meeting and five months before Annual Town Meeting. The application process is twofold. The “Application for Community Preservation Eligibility” introduces the project to the CPC so that it can determine the project’s eligibility and offer guidance. If the Committee finds that the project is eligible, then an “Application for Community Preservation Funding” must be completed. The CPC reviews the Application for Funding according to the town’s general criteria for CPA projects and the specific criteria for the applicable project category (open space, recreation, historic preservation, or community housing). The criteria have recently been weighted and incorporated into an evaluation form for improved ease and transparency. The criteria and evaluation form can be found in the Community Preservation Plan and on the CPC’s website. Once the CPC approves a grant request, can the Selectmen, Finance Committee, or Town Manager disapprove the grant request prior to its being placed on the Town Meeting warrant for a vote? No, the Selectmen, Finance Committee, and Town Manager cannot reject a grant decision that is made by the CPC. However, they and the general public may comment on the decision; and the CPC may reconsider an application and vote to amend their earlier decision before the warrant closes for Town Meeting. After the warrant closes, at the warrant hearing, the Selectmen and Finance Committee may vote to approve or disapprove of a proposed CPA project, but, regardless of their vote, the project will remain on the warrant for Town Meeting. At Town Meeting, any registered voter may move to amend a section of the CPA article. Is the CPC responsible for determining town needs related to CPA and for developing grant requests? The CPC is charged with studying the “needs, possibilities and resources of the town regarding community preservation” by consulting with other municipal boards and by holding one or more public hearings. Based on those comments and Town planning documents, the CPC updates the Community Preservation Plan, which can be found online. In that way, the CPC clarifies CPA-eligible town needs. But, the CPC cannot develop or submit grant requests. Those must be submitted by the parties that will implement the grants. Where can I find the list of past approved grants? The list can be found on the CPC’s website, www.hamiltonma.gov/CPC, and in the Community Preservation Plan. How often does the CPC hold open meetings? The CPC holds an open public meeting on the second Thursday of the month at 7:00 PM. Does the CPC allow for citizen input at its meetings? Are there any restrictions on CPC grants for Community Housing? CPC grants can be used for Preservation, Rehabilitation, or Acquisition of Community Housing. However, unless the Community Housing was originally acquired by a CPC grant, only grant requests that address Preservation activities may be considered eligible and not Rehabilitation or Maintenance activities. Preservation activities include items such as replacement of a roof, building electrical system, or building heating system. Download attachment. Since CPC grants are the primary source of funding for the Affordable Housing Trust (AHT), are there any restrictions on how these grant funds may be used? Grant monies received by the AHT from the CPC can only be used by the AHT under the same guidelines required of the CPC for Community Housing. However, unlike most grants, grants to the AHT are not directed towards a specific project, and thus do not have a required Commencement Date. Download attachment. Whom should I contact for information on the CPC and its grant process? 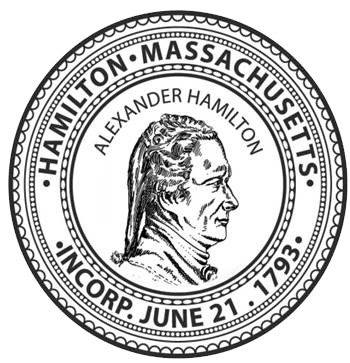 You may contact Dorr Fox, Community Projects Coordinator, at dfox@hamiltonma.gov or (978) 468-5516.